Today I have a birthday card using one of my favourite sets from the Stampin' Up! Australia Occasions Catalogue. It's called Sheltering Tree. How cute is this stamp set? It's a Photopolymer (clear) set and comes with lots of little bits and pieces to create a peaceful tree scene. You can see exactly where you are stamping, so it's easy to add little bits and pieces, or even create different colours with the bicycle frame. Here's a closer look at the set. The colours I have used on my card are Mossy Meadow, Pear Pizazz, Rose Red, Soft Suede, Early Espresso and Black. To get the mottled leaves, I first inked up the leaves stamp with Pear Pizazz ink pad, and then I used the wide end of my Mossy Meadow Stampin' Write Marker to thump random colour onto the inked stamp. This is called the Thumping Technique. See the cute heart embellishment? That's handmade using the Itty Bitty Accents Punch Pack and matching Itty Bitty Accents Epoxy Stickers. There's even a stamp set that matches too - Pictogram Punches (although I haven't used that today). 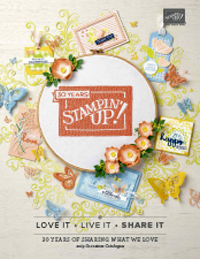 Nobody does 'this goes with that' quite like Stampin' Up!. Here's another version of the same card using one of the sentiments from the Sheltering Tree stamp set as well. If you love any of today's products, remember you can earn one of 11 free items (including full stamp sets and alcohol marker sets) with a $90 purchase before March 31st. All the details HERE. Shop or browse the Stampin' Up! Online Store HERE 24 hours a day, or order by email. Hello there. Today I'm playing with one of the free sets you can earn during Saleabration, which is our biggest sale of the year for Stampin' Up! here in Australia. The set is called Simply Wonderful which is a great set of 6 sentiments, two of which match perfectly with a couple of our punches (check out the links at the bottom of the page). My card layout is based on this week's Stamping and Blogging sketch which is SB89. Here's a closer look at the stamp set - you can earn this FREE with a $90 order in my online store during Saleabration. Check out all the details HERE. I created the envelope for this card using the Gift Card Envelope and Trims Thinlit Die. The little tag inside was made using the Scalloped Tag Topper punch. 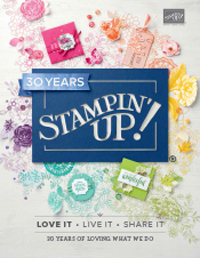 You can check out all the Stampin' Up! products I have used this week using the links at the end of the post. Here is the sketch we had to work with this week. As usual I have turned things upside town and sideways! Now the fun part - you can check out all the fabulous creations from the other members of the Stamping and Blogging design team. I hope you enjoyed checking out this weeks card. If you would like to recreate it, check out the products I used at the end of this weeks post. See you again soon. My boys are back at school Friday, so it's back to full time work for me. LOVE having such a family friendly job. Shop or browse the online store HERE 24 hours a day, or order by email. Earn a free Saleabration product for each $90 spent (before postage) in one transaction. Sign up for my HERE for my email inspiration and stamping tips. Hello there. Today I have a Valentine's card for you featuring some new Stampin' Up! product from the 2015 Occasions Catalogue, mixed up with some existing products. The layout is based on this week's Stamping and Blogging Design team sketch SB87. How cute is that Stacked with Love 'xoxo' paper? The Stacked with Love Washi Tape is going to be a firm favourite of mine too I think, along with the new Happy Heart Embossing Folder. You can view all the products I have used for this card in the links at the end of the page. Here's a closer look at the different layers. This is the sketch from Sandi that we had to play with this week. Now it's tome to fly around the world and visit my lovely Stamping and Blogging design team friends and see how they have interpreted the sketch! Have fun, and don't forget to check out the Weekly Deals below, as well as the links to this week's products in my online store. You get to choose at least one FREE Saleabration item with $90+ orders at the moment! Have a fabulous week, and I'll see you back here again soon. Hello! The Stamping and Blogging team is back again with our weekly sketches for 2015. 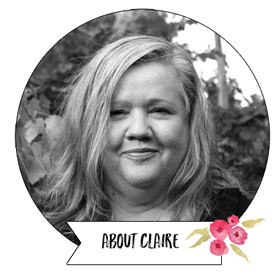 This is one of my favourite blogging activities and I am so grateful to be a part of this lovely team of Stampin' Up! demonstrators around the world. Here's my first creation for Stamping and Blogging for 2015, featuring the Saleabration set Lotus Blossom Stamp Set. You can earn this set free with a $90 purchase (before postage). Isn't this a beautiful stamp set? The flower is actually stamped in three layers. Here's quick video to show you how. Here is the sketch we had to work with this week. I got a little creative with rotating and flipping it! You view the products I have used to create this card using the links at the bottom of the post. You can find out how easy it is to earn this stamp set for free during Saleabration HERE. Now it's time to visit the lovely Stamping and Blogging Design Team around the world to see what they have created with this sketch. Enjoy! Have a fabulous day and I'll see you back her again soon. Hello 2015, Hello Occasions Catalogue and Saleabration! Lovely to see you stamping friends! I hope you are as pumped for 2015 as I am! 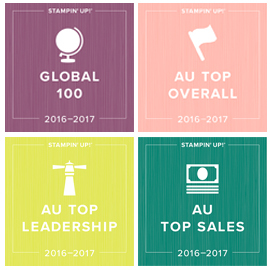 Lots of exciting things happening in Stampin' Up! today, so let's jump right in! New Products! We have a brand new Occasions Catalogue which started today and it's full of fabulous new products which I will be creating with over the coming months. Here's a couple of samples using one of the new bundles, Celebrate Today. Ready to check out the new products? Before you do - make sure you read to the end of the post so you can find out how you earn a FREE Saleabration item for each $90 you spend (excluding postage) between today and March 31st. There are lots of different FREE items to earn, and you can also earn extra free product with orders over $300. Here's one more sample for today, showing the versatility of the Celebrate Today bundle. Here's a look at the Celebrate Today Stamp Set and the matching Balloon Framelit Dies (buy them as a bundle for just $63.50). The paper I have used is Birthday Bash, which has some great bright colours and great designs for celebration cards. Two of the sheets include some gold foil in them which looks awesome! You can check out the links to all the products I have used at the bottom of the post.